SAN FRANCISCO—At its public meeting via teleconference on July 28, the Judicial Council approved a recommendation from its Trial Court Budget Advisory Committee to make an allocation to the trial courts from the Trial Court Trust Fund (TCTF) and General Fund for general court operations and specific costs for fiscal year 2015–16. The council also approved a recommendation from that committee to submit to the state Department of Finance a budget change proposal to address increased costs for court-provided (non-sheriff) security. The proposal also calls for giving courts―with court-provided (non-sheriff) security since 2010–2011—funding increases based on the same growth percentage that the county sheriff receives. Funding Approved for Parolee Reentry Court Programs: The council voted to continue the California Parolee Reentry Court Program with funds from the California Department of Corrections and Rehabilitation. $4.1 million will be distributed to trial courts to enhance and expand the reentry court program with the goal of reducing recidivism in the parolee population. Report Shows Drop in Probation Failure Rate and Prison Population: The council received a report on the effectiveness of SB 678, also known as the California Community Corrections Performance Incentives Act of 2009. The report found the state’s overall probation failure rate dropped from 7.9% to 5.6%, and the reduction in the number of probationers sent to state prison has saved approximately $970.6 million over five years. 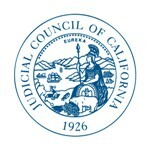 Increasing Diversity of California Bench: The council approved recommendations from its Advisory Committee on Providing Access and Fairness to pursue many avenues to increase diversity, including: education for attorneys and law students on how to become a judge; mentoring for potential judicial applicants; and local court outreach to communities of color. An archived audiocast of the entire meeting broken out by topic will be available on the July 28 council meeting webpage later this week.